Thomas Worthington was born in what is now West Virginia, but moved to Chillicothe, Ohio in 1796. He pushed hard against the territorial governor's opposition to statehood and eventually served as one of the first United States Senators from Ohio, in the years 1803-1807 and 1811-1814. 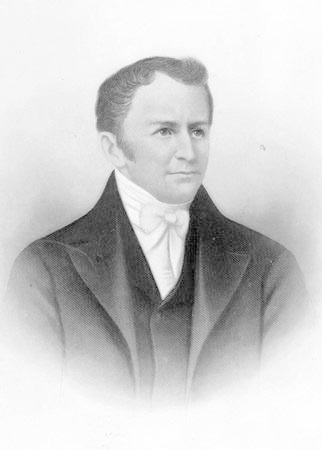 Additionally, Worthington served two two-year terms as governor of Ohio from 1814-1818. He was a forward thinking governor and pushed for canals and public education only to see them be enacted after he left office. Ohio Historical Society AL00572 from the Thomas and Eleanor Worthington Collection.